This Saturday, on the UFC’s first card on ESPN, Donald Cerrone returns to the lightweight division for a showdown with surging contender Alexander Hernandez. As ever, fans are incredibly excited to watch “Cowboy” do his thing. When he fights, there is a near-certainty of entertainment and spectacle, and at the end of the day, that’s just what he wants to be remembered for. 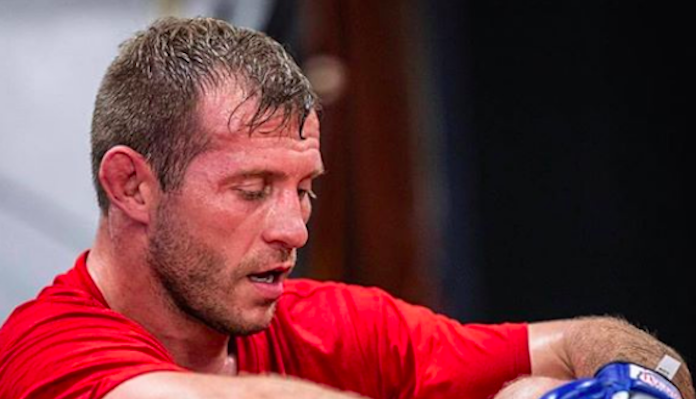 Speaking in a promotional clip ahead of his fight with Alexander Hernandez, Donald Cerrone opened up on how he wants to to remembered when his fighting career is in the rear-view mirror. “My legacy, that’s what I want it to be, man,” Cerrone said. “I want to be like ‘f**k, Cowboy’s fighting, we’ve got to f**king watching this’. If I’m on Fight Pass, ‘we’ve got to pull over, stop the bus, we’ve got to download the app and watch this’, if it’s pay-per-view, ‘we’ve got to find a bar,’ right? I don’t care if people watch the rest of the card or just me. Just get in there. Cowboy’s fighting, he’s going to give it everything he’s got. Donald Cerrone last fought in November, when he defeated “Platinum” Mike Perry by first-round submission. This win was preceded by a decision loss to Leon Edwards and a first-round TKO of Yancy Medeiros. Cerrone is 34-11 overall. How will you remember Donald Cerrone when he decides to hang up the gloves?